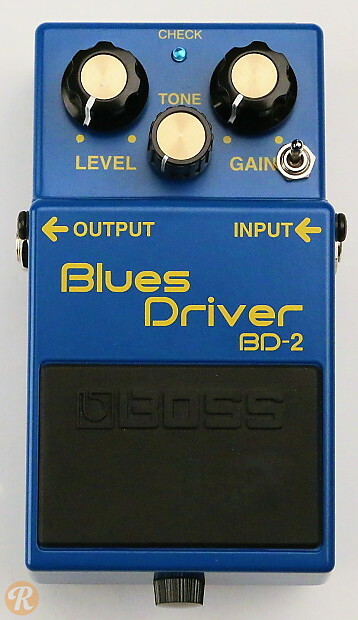 The Boss BD-2 Blues Driver is an extremely popular overdrive pedal, set up as a competitor to the TS9 Tubescreamer. 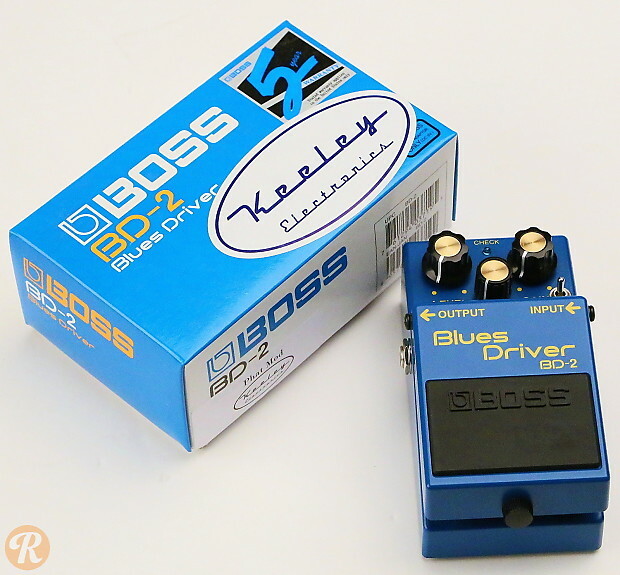 The Keeley Mod upgrades all the components for a warmer, more dynamic tone. An optional secondary Phat mod adds a switch for introducing more bass into the tone. An exterior switch indicates the Phat mod, these models can trade for more than a standard mod. Phat mod version is pictured.